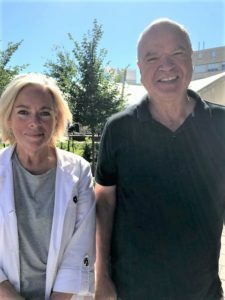 CMHA Ottawa is pleased to announce that the Psychiatric Rehabilitation Journal has published an article highlighting our research on tobacco use among our clients, authored by our Director of Clinical Services, Dr. Donna Pettey in collaboration with Dr. Tim Aubrey, Professor, School of Psychology, uOttawa. The study was instrumental in launching our efforts to address the tobacco consumption that was significantly harming our clientele. The abstract can be found at Tobacco use and smoking behaviors of individuals with a serious mental illness.